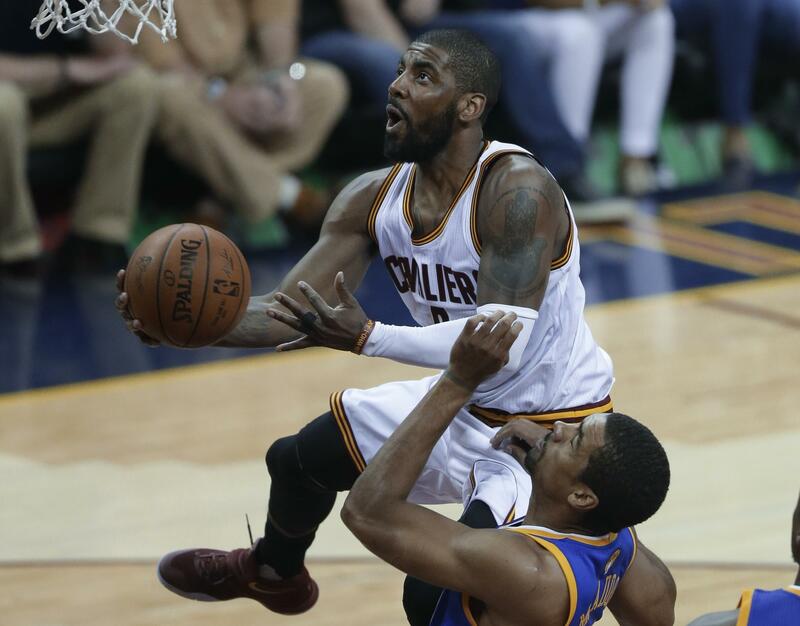 Mon., June 27, 2016, 7:45 p.m.
NEW YORK – Kyrie Irving took one last shot on the flight home from the NBA Finals, hoping LeBron James would play in the Olympics. James isn’t going to Rio, and neither are many more of basketball’s best players. The Americans think they’ll be just fine with who they have. The U.S. selected the roster Monday, led by Kevin Durant and Carmelo Anthony, it hopes can do that for the third straight time. Durant and Anthony are the only players with Olympic experience after a number of stars, including James, decided to skip Rio. Also chosen were: Golden State’s Draymond Green and Harrison Barnes; Toronto’s Kyle Lowry and DeMar DeRozan; Indiana’s Paul George; Chicago’s Jimmy Butler; Sacramento’s DeMarcus Cousins and the Clippers’ DeAndre Jordan. Irving was the MVP of the 2014 Basketball World Cup on a U.S. team that included Thompson, Cousins and DeRozan and easily won gold. The Americans should roll into Rio as the favorites. Yet they won’t look as imposing as expected after the withdrawals of NBA MVP Stephen Curry and All-Stars such as Russell Westbrook, Chris Paul and James Harden. USA Basketball chairman Jerry Colangelo said having a national team pool, which he began in 2005, always has the Americans ready for player losses. There were 31 players in this year’s pool and he had to go deep into it – and eventually even beyond it – to find 12 as the usual factors that can knock players out were joined by the Zika virus and other concerns in Brazil. Anthony said he talked to doctors and people who have been to Brazil about the risks of the mosquito-borne virus. Anthony becomes the first U.S. men’s basketball player to appear in four Olympics. Durant set a U.S. record by averaging 19.5 points in London and also was the MVP when the U.S. won the 2010 world championship. Duke’s Mike Krzyzewski will coach the Americans for the third and final time, tying Henry Iba’s team record. He will lead a team with strong NBA credentials – nine were All-Stars this season – but a little short on international experience after the withdrawals. James would have joined Anthony with a fourth selection. He pulled out last week after leading the Cleveland Cavaliers to the NBA championship. Irving said winning a gold medal would be even sweeter, and he attempted to convince James to chase it with him. The heaviest losses came at the point guard spot, where Curry passed on making his Olympic debut after knee and ankle injuries in the playoffs. Former Olympians Paul and Westbrook also pulled out and what was a position of strength became so depleted that Lowry was added last week even though he wasn’t even a member of the pool. But Colangelo focused on the strength of the team that was selected, adding he and Krzyzewski are excited about the challenge of working with new faces. “Their credentials speak for themselves and now it’s just a matter of coach having some time with the group, because there’s so many new people, just getting everyone to blend in,” Colangelo said. Published: June 27, 2016, 7:45 p.m.